I love a piece of white paper and a pencil, it's just one of those great things in life. And now, after seeing these boxes of carefully crafted and packaged pencils, it makes my future doodling seem that much more important... and necessary. Nashville based company, Hester & Cook (best known for their kitchen papers) is to be thanked for upgrading our everyday pencil experience. 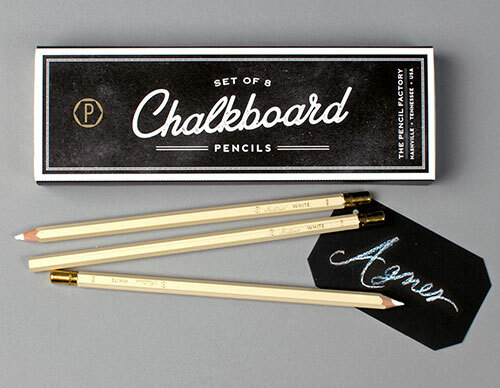 They currently offer four different types of pencil sets; Bridge, Carpenter, Chalkboard and Assorted. As if a box of assorted, pretty pencils isn't exciting enough, they also offer a set of six colored pencils. I could only smile wide if these appeared on my desk...along with white paper of course. 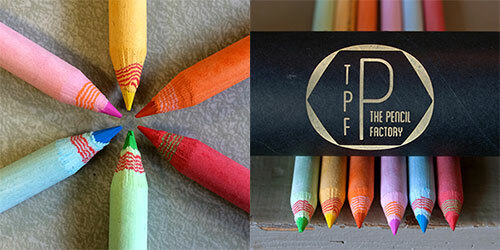 The colored pencils are also Eco friendly, made from recycled paper. Check 'em all out yourself, here.